First the tower has to be built. Each wooden Jenga block is three times as long as it is wide (the same for giant jenga as the normal jenga) and the tumble tower should be built to 17 stories high. The blocks should be stacked in threes and each alternate story is laid in cross ways direction so, for example, if the blocks in the first level lie lengthwise in a north-south direction, the second level blocks should be positioned so that they lie east-west and so on, until the last block is laid on the 19th level. Once the tumble tower has been constructed the player who built the tumble tower moves first. 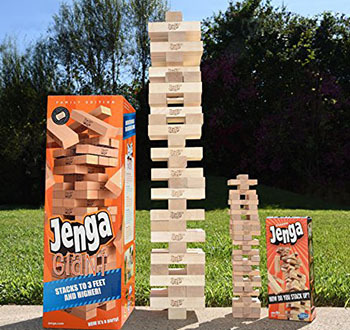 A Jenga move consists of taking one block from any level of the tumble tower and replacing it on the incomplete top level of the tumble tower, causing the structure to grow even higher. Any Jenga block on any level can be used, except those from the level below the incomplete top level, which should not be moved. Only one hand at a time should be used to remove or replace a Jenga block and it is not permitted to hold or steady the tumble tower with the other hand. 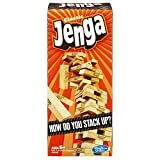 Jenga blocks may be tapped or knocked in order to find a loose Jenga block that is safe to move without disturbing or bringing down the tumble tower. The player's turn is over once the next person touches the tumble tower or after 10 seconds has elapsed- whichever comes first. The game of tumble tower ends once the tower falls or moves even if only one or two Jenga blocks fall. The only moving Jenga block allowed in the game is the one that is being moved or replaced during a player's turn. The loser is the player who causes the tower to fall - it may not be their fault but if the tumble tower falls during their turn, this player is counted as the loser. 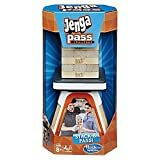 However, if only one or two Jenga blocks fall, the players can agree to put them back onto the tumble tower for play to continue, in keeping with the cooperative aspect of the game. The aim is of tumble tower is not only to avoid being the loser but also to build the tower as high as possible. 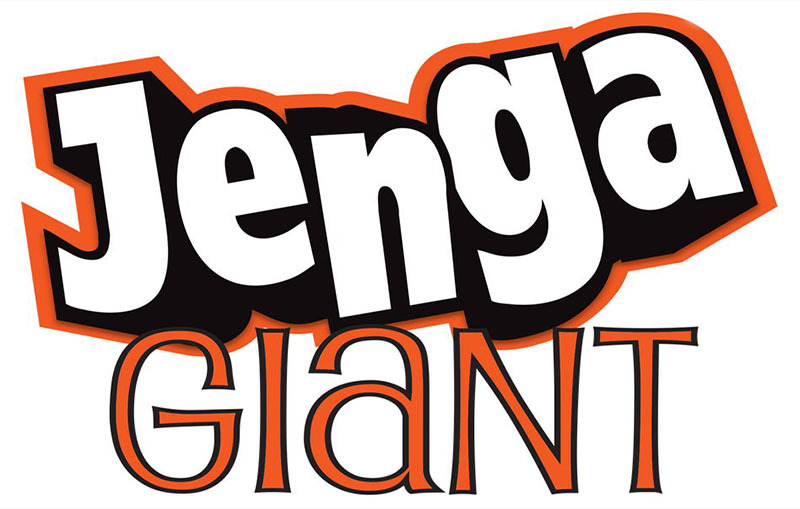 The tallest tumble tower on record made with Jenga blocks was forty levels high!